On Tuesday, April 5th, Mark S. Cartier will present a program at the Bridgewater Public Library on “The Beatles – The Studio Years: 1967-1970.” The program begins at 7:00 p.m. This 75-minute program is designed for anyone interested in the music of the Beatles, from new fans to the most rabid fan. The presentation will cover the second half of the Fab Four’s career from the artistic high point of the Sgt. Pepper album in 1967 to their final release Let It Be in 1970. 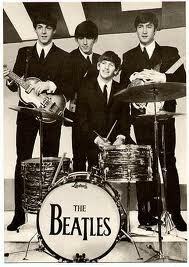 With the aid of musical selections, the program will put the group in the context of the late 60’s, including the death of their manager, their ill-fated television film, their trip to India, their growing creative differences during the recording of the White Album, the crowning achievement of Abbey Road, and their bitter personal and business conflicts which resulted in their break-up, leaving in their wake one of the richest legacies in popular music. Cartier recalls watching the Beatles on the Ed Sullivan Show as a nine-year old and has been a lifelong fan from that moment on. He owns the entire Beatles catalogue in every available format. He has a wealth of Beatles facts, figures and trivia culled from the hundreds of books, magazines, interviews, and documentaries devoted to their work. He has been a professional actor for over 30 years and is a dynamic speaker. This free program is supported in part from a grant from the Bridgewater Cultural Council, a local agency which is supported by the Massachusetts Cultural Council, a state agency. It will be held in the Flora T. Little Meeting Room on the lower level of the library. Parking is available in back of the library, located at 15 South Street. 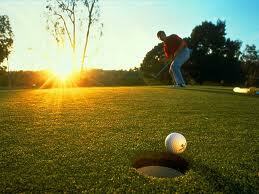 Foursome: $560.00 includes 4 players, green fees, range balls, golf cart, dinner and golf package. Individual: $140.00 includes the same. Sponsors for the golf tournament are being sought for $125.00. Volunteers and prizes are welcome. For more information, please contact Mike Arrighi at 508-697-2110, Steve Arrighi at 508-697-0055 or Tom Arrighi at 508-889-2933. Have you seen the new website for the Bridgewater Recreation Department? If not, click here to check it out! "How the Media Covered the Great Molasses Flood of 1919"
Coffee and snacks will be served. This program is offered by the One Book One Community partnership which is focusing on Stephen Puleo's non-fiction book Dark Tide: The Great Molasses Flood of 1919. The Spring Instructional Program is designed to introduce and expand our children’s knowledge of the skills and fundamentals associated with soccer through exciting lesson drills and situational scrimmages. Participants must be residents of Bridgewater and born on or after August 1, 2000 and on or before July 31, 2006. The season will begin on May 2, 2011 and continue for five (5) weeks. Girls will play Tuesdays and Thursdays from 6:00-7:00 pm starting May 3rd. Interested in one of the famous BWTR stickers? The sticker costs $5 (shipping included) and all proceeds will be donated to the Central Asia Institute in honor of the Greg Mortenson (Three Cups of Tea) lecture last night at BSU! If you are interested, email aroundthecommon@gmail.com for more information. Bridgewater Little League is sponsoring a fundraiser yard sale on Parade Day on 4/30. The League is gladly accepting toys, sporting goods, knick-knacks, collectibles, small furniture, clothing, baby items- basically anything that they can sell they''ll take off of your hands for you! Thanks for considering donating to Bridgewater Little League. You can drop off items this Saturday (March 26th) from 11AM - 1PM at Legion Field or call 781-727-6180. Every lap counts at the American Cancer Society's Relay For Life of Bridgewater, Lakeville, Middleboro. Join a Relay For Life team and take part in a celebration of cancer survivorship. Local residents are encouraged to join with their community and take steps to raise the vital funds needed to help find a cure for cancer. The next Team Captain's meeting is set for 7pm on March 22 on the upstairs floor of the Catholic Center at Bridgewater State University (122 Park Avenue, Bridgewater). The agenda will cover the registration process, fundraising, team-mentoring and the survivors reception. The Relay For Life Bridgewater, Lakeville, Middleboro is a community event bringing together teams of families, friends, religious groups, neighborhoods, and businesses, all with the goal of celebrating progress in the fight against cancer, remembering those lost to cancer, and helping fund research for the future. Residents from all surrounding towns are also encouraged to attend. The American Cancer Society's annual Relay For Life of Bridgewater, Lakeville, Middleboro is set for June 17-18 at Bridgewater Raynham Regional High School. Please come and chat with Ms. Chen from Beijing, Ms. Yan from Shanghai and Dr. Hassan from Alexandria, Egypt. The guest speakers will talk about their experiences as women in their homelands far away, their culture, customs and current events. Refreshments will be served and all members of the Bridgewater Community are welcome. Please park in the driveway. S.E.M.S.B.A Competition at Bridgewater-Raynham High School this Saturday !!! A great event will be held here in Bridgewater this weekend. The event is the S.E.M.S.B.A (Southeastern Massachusetts School Bandmasters Association) Concert. It is this Saturday, March 19th at 2:00pm. 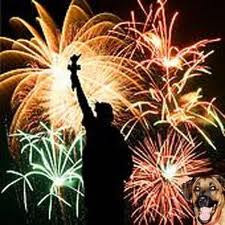 The event will be held at Bridgewater-Raynham Regional High School, 415 Center Street in Bridgewater. The event is being co-chaired by Bridgewater-Raynham music department as well as the East Bridgewater music department. This concert has both Choral and Band segments and is made up of students from 31 surrounding towns in Southeastern Massachusetts. These students were required to try out and were selected to participate based on their talent and skills. These are the best of the best from each school represented. The concert is open to the public and tickets can be purchased at the door. Please the music department at BR High School (Jillian Griffin, Music Director jgriffin@bridge-rayn.org ) if you have any questions or need additional information. 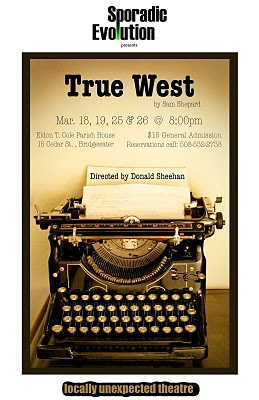 Sporadic Evolution presents Sam Shepard's "True West"
Sporadic Evolution is proud to announce its upcoming production of Sam Shepard's comedy, "True West". The play will take place on Friday and Saturday evening, March 18,19,25 & 26 @ The Eldon T. Cole Parish House, 15 Cedar St. in Bridgewater. Tickets are $15 general admission and you may make a reservation by calling 508-532-2738 or simply purchasing your tickets at the door. Tickets may be paid for either in cash or a check made payable to Sporadic Evolution. "Sons of a desert dwelling alcoholic and a suburban wanderer clash over a film script. Austin, the achiever, is working on a script he has sold to producer Saul Kimmer, when Lee, Austin's brother and petty thief, drops in. Lee pitches his own idea for a movie to Saul, who then wants Austin to junk his bleak, modern love story and write Lee's trashy Western tale." "True West" is considered Shepard's masterpiece comedy of contradictions, in that the play is at once clear, funny and naturalistic yet also opaque, terrifying and naturalistic." Directed by Donald Sheehan, the cast includes Theresa Chiasson as Mom, Obadiah Kelley as Lee, Alfred Naddaff as Saul Kimmer and Donald Sheehan as Austin. The Friends of the Library would like to thank all participants, sponsors, donors, and volunteers who helped to make the event a huge success. 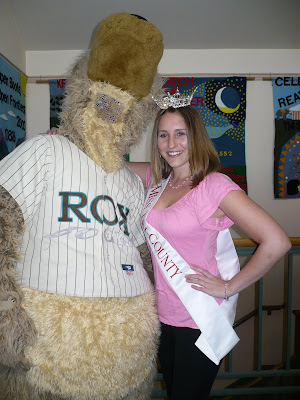 Attached in the photo that was taken at the Bridgewater Public Library Mini-Masters Miniature Golf Tournament (held on March 13th) is Jenna Nowlin (Miss-Tri-County) and K-O (Brockton Rox mascot) posing on the miniature golf course, which winded its way through the library stacks. On Wednesday, March 16, the B-R High School robotics team, TJ2, heads to the FIRST Chesapeake Regional competition in Baltimore (FIRST stands for For Inspiration and Recognition of Science and Technology). 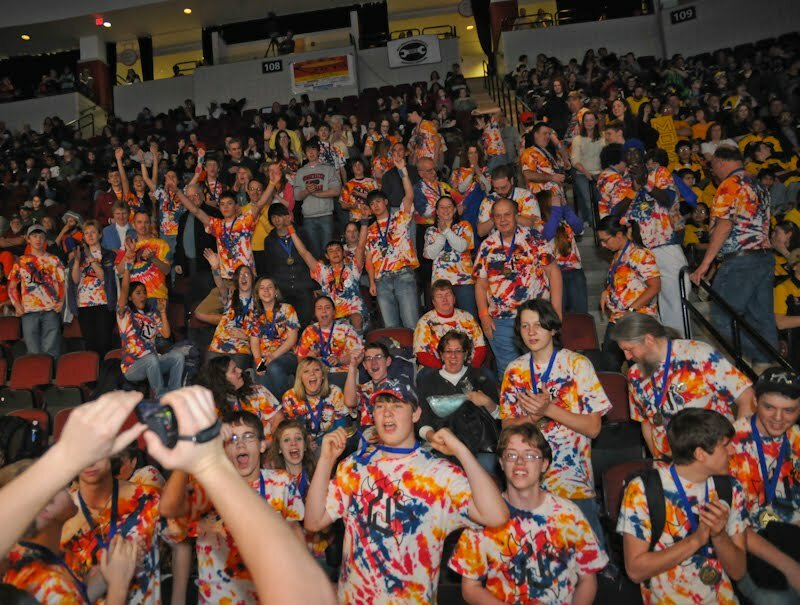 Approximately 60 teams from around the country will compete there to gain entry into the national robotics finals in St. Louis in April. The +/-40 team members from B-R, along with their mentors, will make the 8-hour drive, then spend a day testing, tweaking, and practicing, and two days competing for the top spot. Three weeks later, they will have an opportunity to compete again at the Boston Regional, to be held at Boston University’s Agannis Arena April 7-9. All of the dozens of regionals being held around the country all have their eyes on the big one – the National FIRST Championship in St. Louis, April 27-30. Last year, TJ2 (pronounced TJ-squared) won the Excellence in Design Award at the Chesapeake Regional in Baltimore. At the Boston Regional, they won the Innovation in Control Award, the Website Award, and came in first place in the robot competition. TJ2 is sponsored and generously supported by DePuy/Johnson & Johnson, and supported by many community businesses and individuals. They can easily be spotted at competition by their trademark tie-dye. For more information about TJ2, and to follow their progress, visit www.tj2.org. To find out more about FIRST, its mission, and its different levels of competition, visit www.usfirst.org. Go TJ! Papa Gino's nights will take place March 30, April 27, May 25 and June 29 to help raise funds for the Bridgewater 4th of July Celebration. This offer is valid for either eat in or carry out and the appropriate coupon is needed. Papa Gino's will donate 20% of sales to Bridgewater 4th of July when you purchase on these nights with the necessary coupon. For more information, please email lisa@bridgewaterma4th.com. The Bridgewater Lions Club and David Flynn have announced this year's fishing derby. The hope is there are individuals or businesses that may wish to contribute cash or prizes to be given to the children and help defray the costs of this event. Money goes to pay for stocking the pond, prizes, food. David Flynn hosts the event at his property on Skeeter Mill Pond and the Bridgewater Police and Fire Departments assist the Lions Club in making this a great event. If you are interested in sponsoring the fishing derby, please contact Carl Hanson of the Bridgewater Lions at 508-697-2520 or Don Sweetman at 508-294-4386. 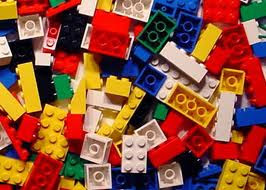 The Children’s Room of the Bridgewater Public Library will hold its second Lego Club program for children age 6 and older on Monday, March 21st, from 4:30-5:30p.m. The library will supply the blocks --- children should bring their imagination and creative building skills. All creations will be displayed at the library until the next meeting. According to many child development experts, building with Lego blocks can enhance learning in a number of different ways, and provide fun and social interaction. Studies show that children forge new brain connections when building with blocks. Spatial concepts, cause-and-effect, and fine motor skills are all impacted positively. Registration is required. To register, drop by the Children’s Room or call 508-697-3331 beginning Monday, March 14th. The library is located at 15 South Street and is open the following hours: Monday 4-8; Tuesday 1-8; Wednesday 10-5; Thursday 9-5; Saturday 10-2. The American Red Cross will be hosting an upcoming blood drive here in Bridgewater. All blood donors will receive a coupon for a free lunch at Cumberland Farms. 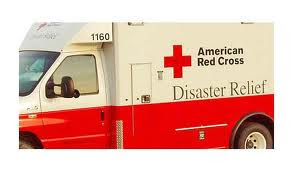 To schedule a time to donate at this drive, please call 800.RED.CROSS. K-O, the official mascot of the Brockton Rox, will attend the Mini-Golf Tournament at the Bridgewater Public Library on Sunday, March 13th. 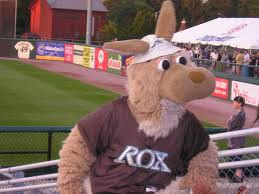 For the uninformed, K-O is a giant kangaroo, height: 7 Boomerangs, weight: 2,416 baseballs, Born: Kangaroo Island, Australia, and resides at Campanelli Stadium. K-O will be available for signing autographs and for picture taking. The event runs from 11a.m.-3p.m. and the cost is $5 per player. Children age 3 and under are free. Hot dogs and beverages will be sold. Raffles and fun for all. A fundraiser sponsored by the Friends of the Bridgewater Public Library. The Bridgewater Community Emergency Response Team (CERT), a program sponsored by the Federal Emergency Management Agency and a part of the Town of Bridgewater’s Emergency Management Agency, is training community based volunteers who can serve during local or regional emergencies and/or assist with public health and safety needs. Emergency services personnel will not be able to help everyone immediately in a natural or manmade disaster. Through BCERT, Bridgewater residents can make a difference by using their CERT training to save family, friends and neighbors, protect property and provide immediate assistance to victims until help arrives. A CERT Informational Session is scheduled for Monday, March 21st at 7:00 PM in the Community Room located in the lower level of the Bridgewater Police Department. The presentation is approximately one hour and provides an overview of CERT including an introduction to the training curriculum and instructors. The discussion will also brief attendees on how becoming a BCERT volunteer provides an opportunity for residents to assist in our community’s overall safety and disaster preparedness efforts. Attendance at the Informational Session is encouraged but not mandatory in order to register for the upcoming Training Session. The next BCERT Training Session will be held Monday evenings beginning April 4, 2011 from 6:30 PM – 9:00 PM. Volunteers will be required to attend a 10 week series of Training Classes covering topics such as Disaster Preparedness, First Aid, Fire Safety, Disaster Medical Operations, Light Search & Rescue, CPR certification and Disaster Psychology. Through lecture, discussion and interactive classroom participation, residents will gain the basic skills necessary to help themselves and their family and neighbors during a time of crisis. Completion of all classes over the 10 week program is required to be certified as a Bridgewater Community Response Team Member. Additional training, refresher courses, continuing education and simulated exercises will be offered on a quarterly basis to BCERT members to expand their knowledge and sharpen skills. BCERT Training is offered at no cost. Participants must be residents of Bridgewater and at least 18 years of age. A CORI background check will be conducted by the Town of Bridgewater on all BCERT members prior to participating in any response activities. For more information or to sign up for the BCERT Information Session or to register for the BCERT Training Classes, please send an email of interest to: BridgewaterCERT@gmail or contact John Mitchell at 617-212-8279 or Maria DeLellis at 508-889-2416 and provide your name, telephone number and e-mail address.